YOUR INTENSIVE CARE HOTLINE - TRACHEOSTOMY AND WEANING OFF THE VENTILATOR IN INTENSIVE CARE, HOW LONG CAN IT TAKE? 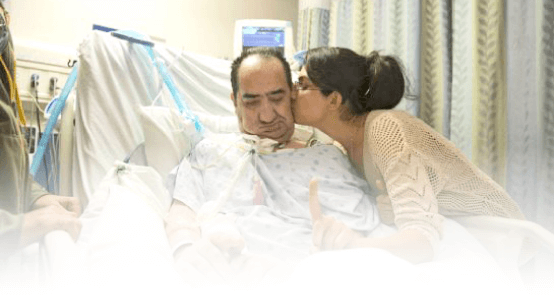 If your critically ill loved one has been in Intensive Care on a breathing tube/endotracheal tube, on a ventilator and in an induced coma and now has a Tracheostomy, there are several reasons, why your critically ill loved one required a Tracheostomy. Today’s episode of ‘YOUR QUESTIONS ANSWERED’ however gives you answers to how long it should take your loved one to be weaned off the ventilator and the tracheostomy in Intensive Care or in LTAC(=Long-term acute care facility) . Before I go into the details to answer today’s question, let me share word of warning with you when it comes to tracheostomies in Intensive Care that is specific for our readers and clients in the US. A tracheostomy is often used as a money saver in Intensive Care in the US and also as a vehicle to manage and empty “in-demand” and very expensive Intensive Care beds. Because an “in-demand” Intensive Care bed costs around $5,000 per bed day, ICU’s are wanting to empty their beds and they do so by doing a tracheostomy and sending Patients to LTAC(=Long-term acute care facilities). There is also often pressure from health insurances to get into LTAC’s due to lower cost, without actually taking clinical need for Intensive Care into consideration due to the ventilation and tracheostomy! 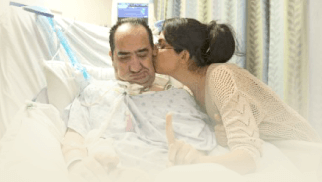 If you are finding yourself in a situation where the ICU is suggesting a tracheostomy, you need to make sure that your loved one can stay in ICU for as long as it takes to wean your loved one off the ventilator and tracheostomy. The only genuine alternative to a long-term stay in Intensive Care and/or LTAC with tracheostomy and ventilation is INTENSIVE CARE AT HOME where ICU nurses provide services up to 24/7 and I will explain more about that in detail in a moment. I can’t tell you how many families come to us when they have a loved one in LTAC and they are literally begging us to help them get their loved one out of LTAC and back into ICU. We can do that as part of our professional advocacy and consulting service, however it is much smarter to ask questions beforehand, making sure your loved one isn’t going to end up with a tracheostomy unnecessarily if your loved one could have been weaned off the ventilator and the breathing tube/endotracheal tube in the first place. We can also help you advocate successfully to keep your loved one in Intensive Care after tracheostomy. 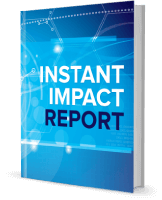 Here is a link to a case study how we helped one of our clients to stay in Intensive Care instead of going to LTAC or long-term acute care after having a tracheostomy. The outcome was successful consulting and advocacy where the client’s Dad was able to be weaned off ventilation and tracheostomy in ICU! On to answering your question. A Tracheostomy is generally speaking a straight forward procedure in Intensive Care and after a tracheostomy has been inserted, generally speaking the weaning process for your critically ill loved one to come off the ventilator can be started immediately. That being said, before a decision for a tracheostomy has been made, there is a very good chance that your critically ill loved one has been or was placed in an induced coma. An induced coma generally speaking is necessary for intubation(=insertion of a breathing tube/endotracheal tube), mechanical ventilation so that your loved one is able tolerate the breathing tube/endotracheal tube. A tracheostomy tube is so much easier to tolerate for your critically ill loved one and he or she does not need any sedation(drugs that make your loved one sleepy) for it. Again, for mechanical ventilation with a breathing tube/endotracheal tube an induced coma and sedation was necessary. Therefore, sedation can be weaned, reduced or even completely discontinued after tracheostomy insertion. Therefore, the number of drugs given for sedation and pain relief can often be minimized or they can be completely discontinued, which is a good thing. With the sedation minimized or ceased, your loved one should come out of the induced coma and should then be ready to take the first steps to be weaned off the ventilator. The first steps to being weaned off the ventilator and the tracheostomy can often be taken on the same day the tracheostomy has been done! Sometimes there can be delays, however the goal should always be to wean your loved one off the ventilator and the tracheostomy as quickly as possible in Intensive Care instead of going to LTAC! Those first steps are usually to reduce support from the ventilator and let your loved one do more of the work required to breathe, whilst still getting support from the ventilator and then the next step is to take your critically ill loved one off the ventilator completely for a few hours and just support him or her with an oxygen mask(trachea mask,trachea hood, trachea shield or trachea collar) instead of the ventilator. That usually gives you, your critically ill loved one and the ICU team a good indication of how long the process might take to wean your loved one off the ventilator. The frequency that your loved one stays off the ventilator should increase day by day, with the goal to be off the ventilator within a few days or a week or two at the most. This is if all goes well and as planned. Sometimes your loved one may stay off the ventilator during the day and go back on the ventilator again during the night, until he or she can be without the ventilator for >24 hours. After your loved one has been without the ventilator for a few days, he or she should be able to have the Tracheostomy removed as well, if your loved one has a good strong cough and after a swallowing assessment has been done. 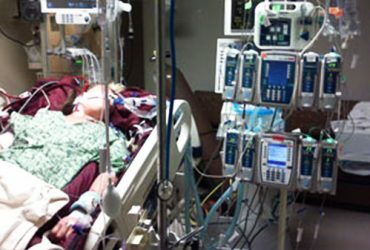 Depending on the underlying admission scenario and other medical issues that your critically ill loved one is dealing with, the process of weaning your critically ill loved one off the ventilator might not be a straight forward process and numerous setbacks might delay and prolong the weaning process. These are the most common scenarios where a weaning off the ventilator with a Tracheostomy can be delayed and therefore difficult and the weaning process in Intensive Care/LTAC can therefore then take many weeks and many months before a discharge out of Intensive Care or LTAC is possible. After the clinical issues are taken care of in Intensive Care/LTAC, you may find that your loved one gets depressed in Intensive Care, because of the lack of Quality of life, the feeling of helplessness, the lack of privacy and dignity, the sleep deprivation and because of the disturbed day and night rhythm and this can turn into a vicious cycle with the ventilator dependency triggering the depression and the depression triggering the ventilator dependency. This is especially true the longer your critically ill loved one stays in Intensive Care/LTAC. Increased length of stay in Intensive Care/LTAC, depression and lack of Quality of life usually go hand in hand. This means that your critically ill loved one might get psychologically dependent on the ventilator because of the reasons outlined above and again, delay the process of your loved one being able to breathe without a ventilator. There are a number of Patients in Intensive Care or in LTAC that are long-term ventilator dependent with Tracheostomy and they are therefore “trapped” in Intensive Care or LTAC with no Quality of Life and often with no perceived alternative but to stay in Intensive Care for long periods of time, without ever leaving Intensive Care. Those Patients and their Families in Intensive Care/LTAC feel like they have no control over the situation and they therefore feel like they are at the mercy of the Intensive Care doctors and nurses. After a few weeks or after a few months in Intensive Care/LTAC because of the ventilator dependency, there is a relatively high chance that your critically ill loved is getting weaker and weaker and is losing the will to live. 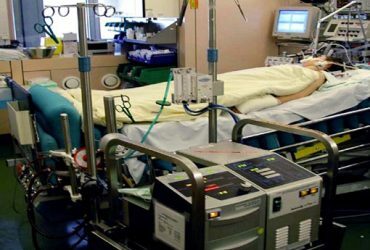 The inhibiting and limiting Intensive Care/LTAC environment where Quality of Life and/or Quality of-end-of-life can not be achieved, are more often than not a downward spiral for your critically ill loved one and many Intensive Care Units or LTAC’s may actually tell you that because of the inability for your critically ill loved one to move forward that they may have to “withdraw treatment” or limit treatment and let your loved one die. Usually, in an Intensive Home Care environment, Quality of Life can be restored and Patients and their families have real control over their lives and they are far less dependent on a regimented, institutionalised, sterile and clinical environment. Some ventilator dependent Adults& Children are able to go back to work or go back to school, University or kindergarten with the support structure of an Intensive Home care service. Intensive Care Home services provide 24/7 care and provide similar services compared to Intensive Care/LTAC, where weaning off the ventilator is possible as well, in a much more Patient and Family friendly environment. If you are living in an area where such services are not available we have more resources prepared for you that will help you to have control, power so that you can influence decision making. 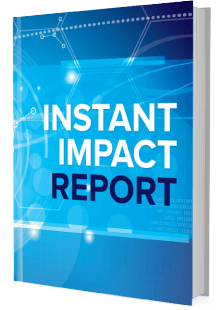 Those reports will give you this crucial “behind the scenes insight” that is crucial for you having power, control and influence. You shouldn’t and you don’t need to take for face value what the Intensive Care team or the LTAC is telling you!